This blackjack table below shows the chance that the player will bust if you take a hit. 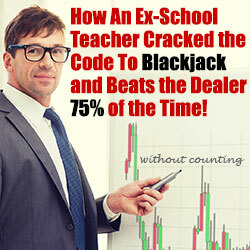 This blackjack table below shows the chance that the dealer will bust if he takes a hit. Be sure to checkout our House Edge Calculator which automatically calculates the total casino edge for any blackjack game.